CES has become the place for companies to showcase new, innovative and promising technology. And with the expo celebrating its 50th anniversary, it's more obvious than ever why the largest consumer electronics show in the world remains a must-attend event for forward-thinking advertisers. A lot has changed since the first CES in New York, which showcased products from just 14 companies. Last year, it played host to nearly 4,000 exhibitors—with over 170,000 attendees getting a first look at new products and ideas. As a svp of sales for CBS Interactive, I've worked with the CNET brand for over 18 years. I've watched more and more marketers make the trip to CES each year to understand how tech can help them better connect with consumers and which tech might help burnish their image as trendsetters. What can brands expect at the 2017 show, which is set for Jan. 5-8 in Las Vegas? Even more smart home and car tech. People have been talking about the advantages of connected appliances, home automation and tech-enhanced cars for the past few years, with many of the first announcements on autonomous cars and smart washing machines made at CES. Now with top-tier companies including Amazon, Apple and Google investing in the future of our homes and cars, we're seeing voice-activation technology becoming the center of innovative platforms that brands can use to reach consumers. 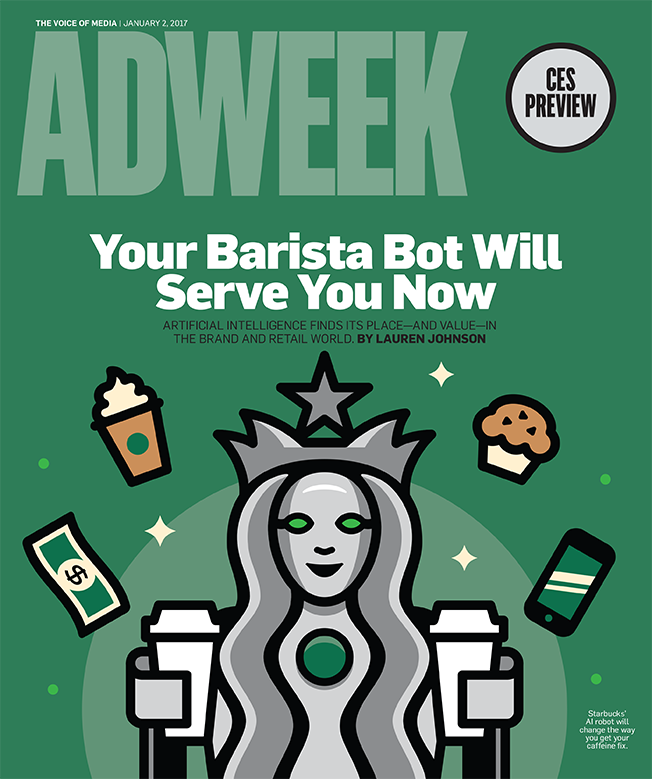 The smart home offers a new level of ad targeting, with tech able to offer more relevant and personalized marketing messages to individual consumers. Imagine, after someone asks Google Home for traffic info before leaving for work, also being offered an opportunity to order coffee from their favorite coffee place for fast mobile pickup along the way. Tech is no longer a niche market. It's at the center of almost everything we do each day. That's why we're starting to see more nonendemic advertisers embrace the smart home. 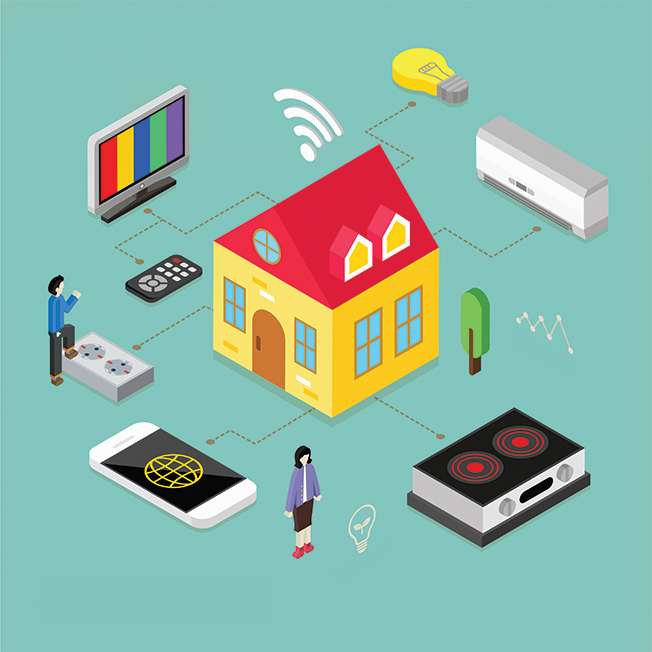 Real estate, insurance and security companies are incorporating smart home ideas into their marketing strategies. Why? Because our homes are getting smarter. But it's early, which means there's an opportunity today to be among the brands that help customers understand how things work and to help them choose the right tech for improving, simplifying and protecting their homes. Take Coldwell Banker Real Estate. It's educating its sales associates on smart home tech so they can help home buyers and sellers accurately identify smart homes. This is part of the company's Smart Home Education Curriculum, exclusively for its agents. To help its policyholders save money, Travelers Insurance now offers customers with qualifying smart home devices discounts on their renters and homeowners insurance. Expect more investment in these kinds of programs and services. The opportunities aren't limited to big or occasional consumer purchases. Companies in the CPG space can market through the smart kitchen; furniture companies through the smart bedroom; DIY companies through the smart garden; health and wellness companies through the smart gym; and automotive makers through the smart garage. Beyond the smart home tech, we're also starting to see a ramp up in discussion around the future of car tech. From electric cars to autonomous and self-driving tech, the auto industry is preparing for the biggest change in motoring since the Model T. Tech is becoming a game changer for Detroit. About two-thirds of the estimated 90 million new cars to be sold each year will be "connected" and integrated with the internet and devices like our phones by 2020, according to automotive security manufacturer Giesecke & Devrient. More motorists are using their cars as an extension of their home, thanks to savvy technology for communications, navigation and entertainment. All those new systems offer brands the opportunity to extend their reach to consumers. This year we'll see more brands like Toyota push the edges of self-driving technology. That's no surprise. But it's important to remember that self-driving tech is about more than convenience for automating wheels and pedals. It also has the potential to cut accident rates, shift your focus from driving to media consumption and improve roadway efficiency. How can brands use this? Look to Budweiser, one of the world's most powerful brands. It garnered loads of publicity when it teamed up with Uber last month to deliver 50,000 cans of beer using an autonomous truck. It's no secret the show is a place for brands hunting for the next big thing. There's no one better at making us all (myself included) smarter about what's coming next in tech than CNET's Brian Cooley, who's been covering the industry for years. "Great technology," he says, "has the power to be transparent, intuitive, intimate and constant." Technology for the home and on the road offers brands new ways to reach consumers in intriguing new ways. Each year, CES peels back the curtain for advertisers, offering a peek at the future. Be sure to take a look. 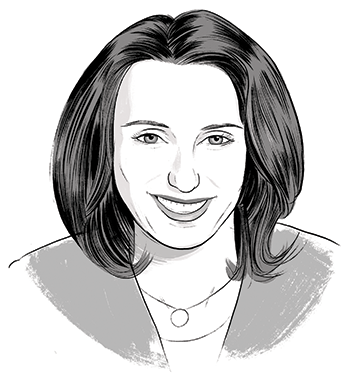 Katie Kulik (@katiekulik) is svp of sales at CBS Interactive. She has worked for nearly two decades with CNET, one of the world's largest and most trusted online sources of consumer tech news and reviews. She is based in San Francisco.